Airport for Farming Simulator 17, the experiment aircraft technician simulator! /File Link/ | Rating: 5! 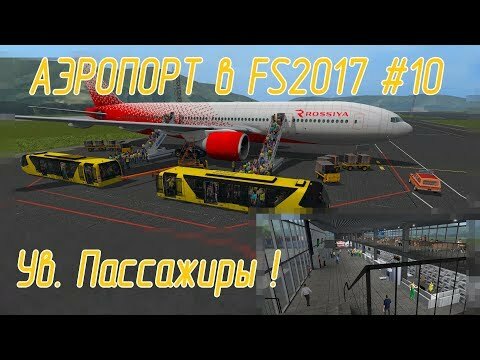 Continue the series about the airport in Farming Simulator 17 try, experiment! In this video review of the terminal building, boarding passengers in the airport bus Neoplan Airliner NM9012 next exit to the platform and the ladder SPT-104 enter the Boeing 777-200 will be interesting to watch!